Augustine is sometimes called the “Apostle of England.” In the year 596, Father Augustine left his quiet life as the prior of the Benedictine Abbey of St. Andrew in Rome to lead a group of monks to preach the Gospel and bring Christianity to the people of England. England was a very uncivilized place in those days. It was ruled by tribes of Anglo-Saxons who were brutal and cruel. The monks were also worried about crossing the rough waters in the English Channel. They decided it would be safer to return to Rome. Augustine went to explain the situation to Pope Gregory the Great. The two men were friends. The pope convinced Augustine to try again. Augustine and his monks landed on the English coast. They were greeted by the pagan king, Ethelbert, who was married to a Christian. Ethelbert found them a place to live. Within a few years, Ethelbert responded to the message Augustine preached and was baptized. 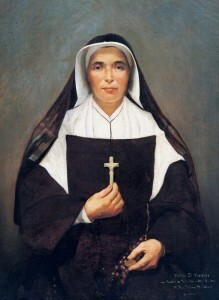 Many of his subjects, too, became followers of Christ. In time Pope Gregory consecrated Augustine as a bishop of France, but in later years Augustine was assigned again to England. He returned to Canterbury and made it the center of the diocese. He oversaw the construction of a church and a monastery and became the first Archbishop of Canterbury in 597. 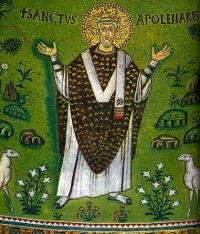 Augustine was not always successful in his efforts to spread Christianity through all of England. 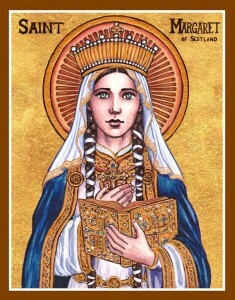 The original Christians who fled to the Western part of the country to escape the Anglo-Saxons had fallen back to their pagan ways. It was very hard to get them to reconcile with their conquerors, even though they were now Christians. Augustine never gave up. He believed that the two groups would one day be united in their love for God and their neighbor. 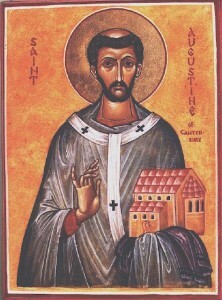 He died in 604, and the Church honors Augustine of Canterbury as a saint.